Home Builders Research reported that the 810 closings in February were 27 percent higher than February 2018. For the first two months of the year, the 1,421 closings are 75 more or 5.6 percent higher than a year ago. In releasing his numbers, Home Builders Research President Andrew Smith said the final two months of 2018 made the short term outlook, for the market “a bit worrisome” but sales figures “have rebounded nicely” since the start of 2019. 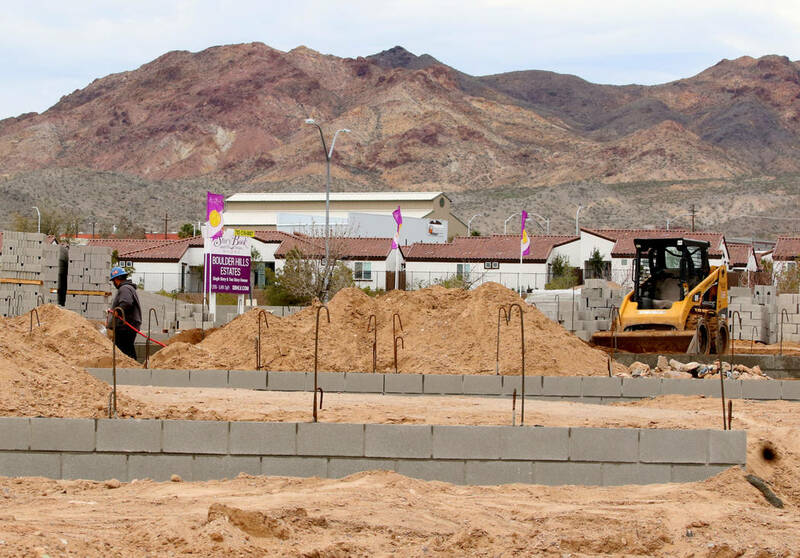 Southern Nevada’s homebuilders had a right to be concerned during the fourth quarter of 2018 when sales dipped after a strong showing for most of the year. Builders were dealing with rising construction costs due to land, labor and materials and interest rates were rising to 5 percent, putting some buyers on the sidelines. On top of that, some economists expressed concern about a trade war and whether the U.S. economy would be in a recession by 2020. 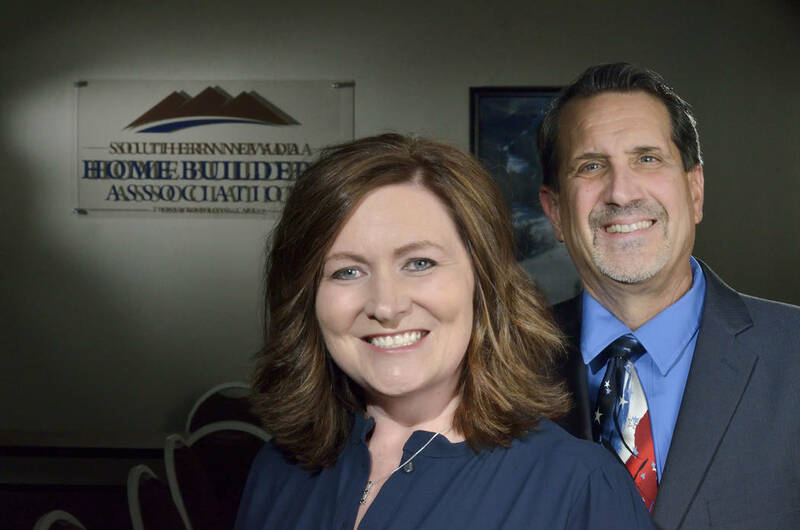 When more than 150 homebuilders and members of the Southern Nevada Home Builders Association met at The Orleans earlier this month, builders were feeling better about where the market is headed. The numbers showed that from closings and traffic, and there was a sense of relief that interest rates are falling to a 13-month low at 4.28 percent. Home Builders Research reported that the 810 closings in February were 27 percent higher than February 2018. For the first two months of the year, the 1,421 closings are 75 more, or 5.6 percent higher, than a year ago. In releasing his numbers, Home Builders Research President Andrew Smith said the final two months of 2018 made the short-term outlook for the market “a bit worrisome,” but sales figures “have rebounded nicely” since the start of 2019. Builders pulled 926 permits in February, a 6.9 percent decline from February 2018, but Smith said the 2019 numbers are in line with a year ago by being up 0.2 percent. “We see this as a positive signal and a sign that builders continue to have a positive outlook for sales in the near future,” Smith said. It appears sales have been impacted by interest rates. 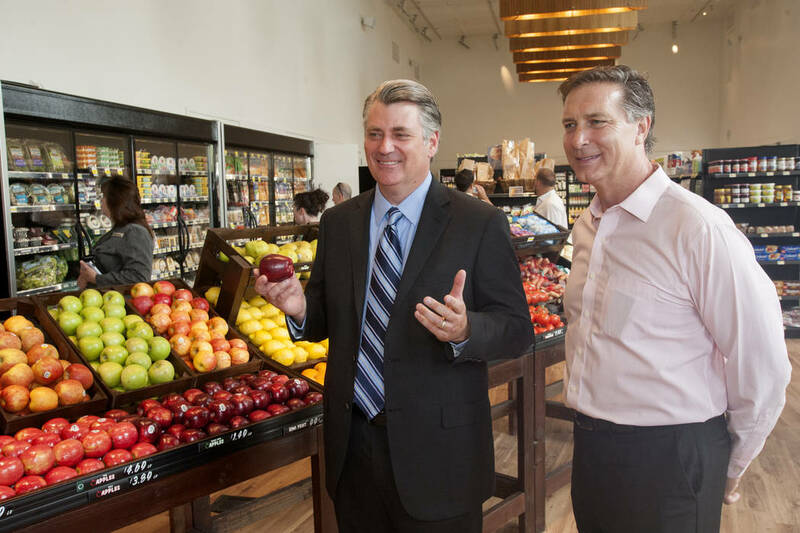 Sales were flat during the highest rates and jumped again as rates moved down, Smith said. There’s are a lot of room for growth because the 11,050 new home closings in 2018 as tracked by the group — the most since 2007 — is equivalent to what happened in the early 1990s when the population was closer to 1 million than 2 million today, he said. There were more than 36,000 closings at the height of the market in 2006 and 3,900 in 2011 following the Great Recession. The group is projecting 11,000 closings in 2019. “With the migration that we’re getting, we’re still not building enough houses for the demand,” Hodgson said. Another of the featured speakers, Patrick Parker, president of Raintree Investment Corp., the developer of Lake Las Vegas, told the group about how half of their buyers are coming from California and how the price spectrum from $300,000 to more than $1 million has had activity. The team predicted that nationally home sales will rise 2.9 percent this year and most of that gain should come in the South where homes are more affordable as well as affordable parts of the West, specifically naming Phoenix and Las Vegas. Vitner said the new federal tax law implemented in 2018 that limited deductions on state and property taxes has prompted Californians thinking about moving to Phoenix and Las Vegas to do so. Vitner said the lower interest rates will be a boon to housing in Las Vegas in 2019 as long as they’re not a sign the economy is going to slow. Mortgage rates are down at least one-half percent from December and they’re likely to stay there for most of the year, he added. While builders feel good about the market getting more active, Love said there are still challenges with material costs continuing to rise with the exception of lumber. Despite a shortage of labor, builders have been able to handle the growth in the valley so far, she said. One concern is whether the Nevada Legislature will roll back construction defect legislation approved in 2015 that made it more difficult for builders to get sued. That has enabled builders to construct more town homes and condos and attached product that was one of the stories of 2018. So far in 2019, Home Builders Research said that attached product through the first two months of the year is up 41 percent over 2018. By contrast, single-family new home construction is up 1.65 percent. The other concern expressed by homebuilders at last week’s conference is about rising costs of land, labor and materials that make home more expensive and less affordable. Home Builders Research said the median price of single-family homes closed in February was $399,163, a 10 percent gain over February 2018. The price of attached homes was $282,795 or 14.4 percent higher. The builder group continues to work with cities and state lawmakers to help alleviate the problem over affordable housing with the No. 1 concern being land costs, Hodgson said. One solution is private public partnerships where homes are built on land owned by local governments or the Bureau of Land Management is petitioned by them to make federal land available for affordable housing, he said. Land supply is a big topic in Las Vegas and across the nation, and Parker told the builders that it’s being done with in-fill development and increased density. He said he sees that happening in Las Vegas more, rather than builders constructing new homes in outlying areas. Those in-fill sites have the infrastructure and have greater demand, he said. In his report, Smith pointed out that Case Shiller 20-city index showed Las Vegas led the nation with an 11.4 percent year-over-year price increase, the only city on the list in double-digits. While these figures pertain to both new and resale homes, the National Association of Home Builders/Wells Fargo Housing Opportunity Index fell to 35 percent nationwide when looking only at new construction, Smith said. This means that throughout the country, only 35 percent of households can afford a median-priced newly built home, Smith said. For both new and resale homes combined, the Las Vegas metro area has an HOI of 46.4 percent as of the fourth quarter of 2018, he said. In February 2018, 35 percent of new home closings came in at or above $400,000. One year later, Smith said, those higher-priced homes accounted for 45 percent of the total. Homebuilders opened five new projects in February, Smith said. Of the 23 floor plans available in these communities, 21 are detached products and overall the floor plans average 2,874 square feet and have an average base asking price of $457,651 or $160 a square foot. Nearly half of the total knew permits in February came from the Henderson and southwest submarkets, Smith said. Lennar Homes accounted for over one-quarter of all permits for the month at 246 with DR Horton coming in second at 112. The most active projects were Mira Pointe by DR Horton in the Valley Vista master plan in North Las Vegas with 36. Colton Ranch from Beazer Homes also in North Las Vegas had 19, and Monterey in Mountains Edge by Lennar had 19, Smith said. The largest builder parcel taken in February was KB Home’s purchase of the former Great Mall of Las Vegas site, a 52.4 acres in the northwest valley, Smith said. Century Communities assembled 25.98 acres from five different sellers in the southwest near Rainbow Boulevard and Mountains Edge Parkway, Smith said.